SpeakingEnglish.iN helps English language learners to improve their English speaking skills through group classes or one on one classes over phone or computer. Quality matters not quantity. It counts how you are learning the language. If you are following the right techniques you will see a great deal of improvement within a month at that rate. Hello Sir, Good morning. How to learn English? Learning English is like learning any other languages. Learn the basic grammar and the basic English vocabulary first. Your command over the vocabulary is more important the volume of the vocabulary. Practice speaking as much as possible. 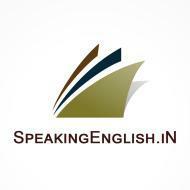 SpeakingEnglish.iN conducts classes in Spoken English. It is located in Kostia, Onda. It takes Regular Classes- at the Institute.